Take a nut, a few fruits, a household plant, a flower and mix together. Okay, not quite that simple but those ARE the essence of this body cream recipe. The gorgeous emollient Shea butter courtesy of the Shea NUT; the beautiful rose petals move aside for its hip FRUIT to shine; the tropical and delicious coconut FRUIT produces a wonder drug in its oil; the healing, soothing Aloe PLANT has so many benefits it’s scary and the fragrant aphrodisiac Ylang-Ylang essential oil is extracted from a FLOWER. 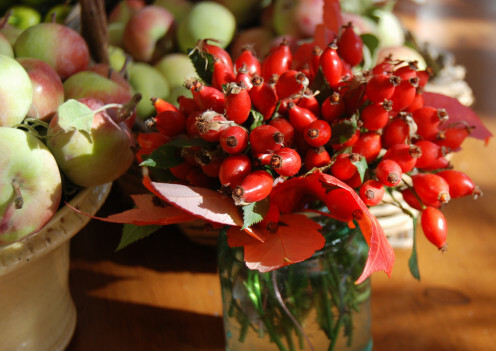 Rosehips are the fruit of several species of Roses. The commonly cultivated species of the ripened fruit is Rosa rubiginosa also known as Rosa mosqueta. It is native to Europe and Western Asia often seen in the wild and is now seen throughout the world particularly Chile, Spain, Argentina and Tunisia where it is cultivated for the precious oil. On the flip side, in Australia, New Zealand and South Africa it is classed as an invasive weed. The hips or fruit are formed after the pink flowers have bloomed in the spring to summer months and the hips are often still appearing into winter. Rosehip oil is an amazing product for the skin. 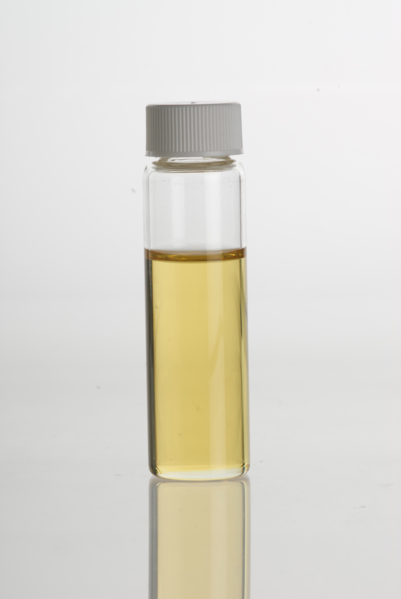 Classed as “dry” oil, it absorbs very quickly into the skin with no greasy residue. Extremely hydrating, it is excellent for dry or damaged skin. A gentle oil, it may be used on its own as a moisturizer or incorporated into lotions, creams, massage oils, face masks, scrubs, lip balms or serums. This oil should be stored in the fridge as it is delicate oil and may react more easily to changes in temperature, light and oxygen fluctuation. 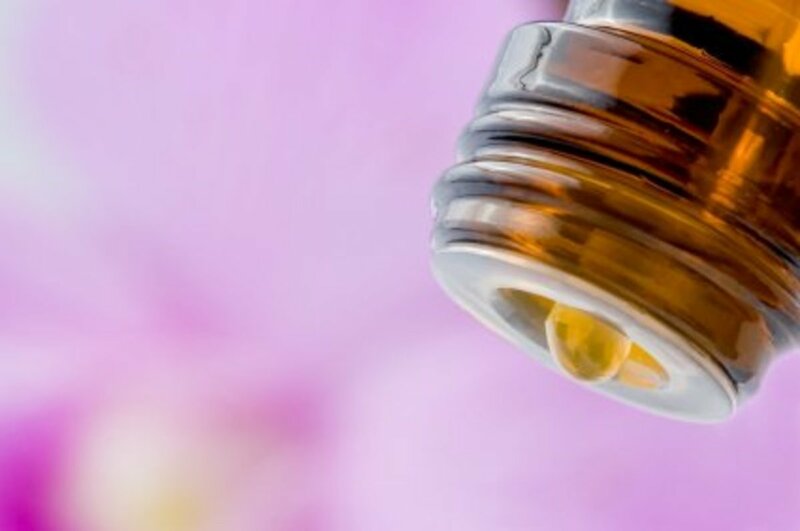 This luxurious, rich floral essential oil predominantly stems from the flowers of the large Cananga odorata tree and is known as “the perfume tree”. This tree grows to an average height of 12 m (40 ft) and the flowers are long and droopy with greenish-yellow petals. 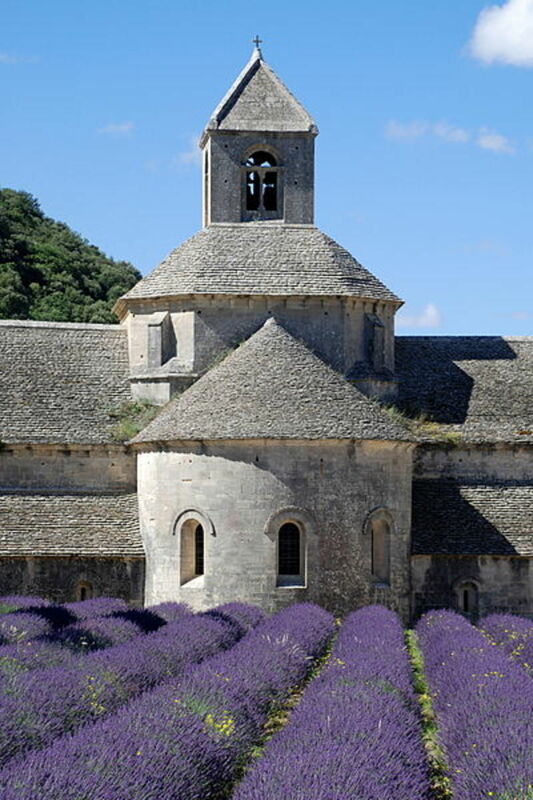 It is from these aromatic flowers that the potent essential oil is extracted by steam distillation and then graded according to when it has been distilled. The tree is native to Indonesia and the Philippines and commonly found throughout the Comoros Islands, Polynesia, Micronesia and Melanesia and Madagascar. 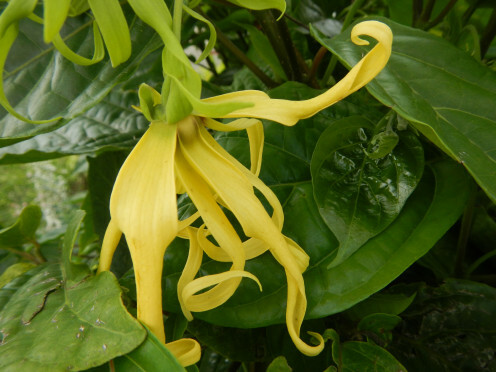 Ylang-Ylang essential oil is predominantly produced in the Comoros Islands and Madagascar. Therapeutic Benefits - relieves tension, helps ease muscular pain, is calming to body and mind, helpful for fear, anxiety, colds, coughs, fever, impotency, high blood pressure and insomnia. 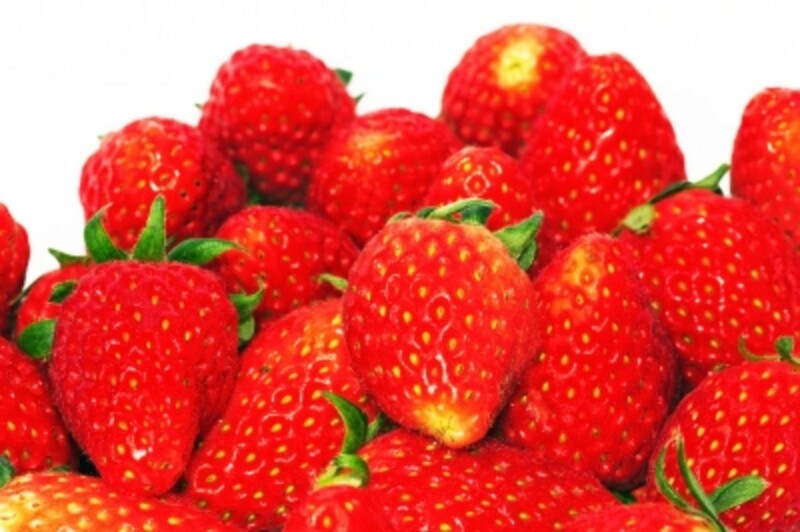 It is said to act as an aphrodisiac. Skin Benefits – Ylang-Ylang has a soothing and balancing effect on the skin. It will aid both overly-dry skin and overly-oily skin by balancing the natural sebum secretions. 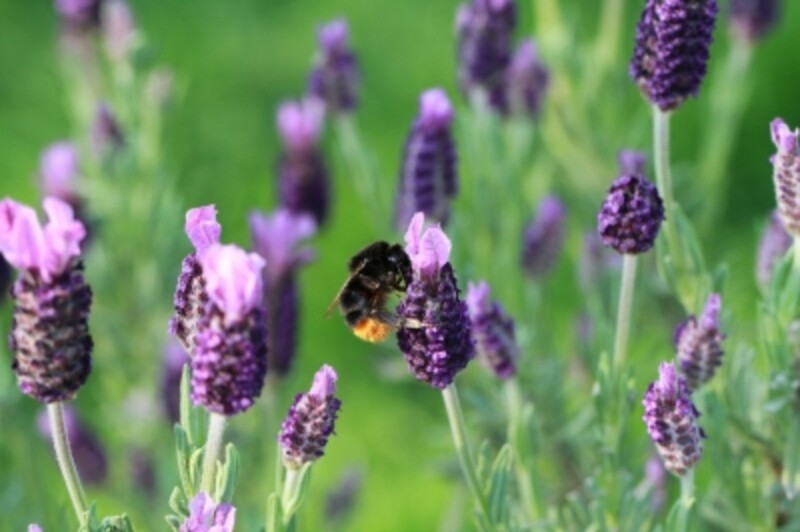 Scars, insect bites and wounds will benefit from the healing, antibacterial and antiseptic properties. 2 x 8 oz glass jars or 4 x 4 oz jars. Place all the ingredients (with the exception of the rosehip oil and the ylang-ylang essential oil) into the mixing bowl of the blender. Mix for approximately 3 minutes on high. Pop the bowl into the refrigerator for an hour. Remove and start to break up any hardened oil with the wooden spoon into tiny pieces. Add in the ylang-ylang and rosehip oils and blend again on high for 4 minutes. Every so often stop the machine and scrape down the sides to make sure all the hard pieces are combined evenly. 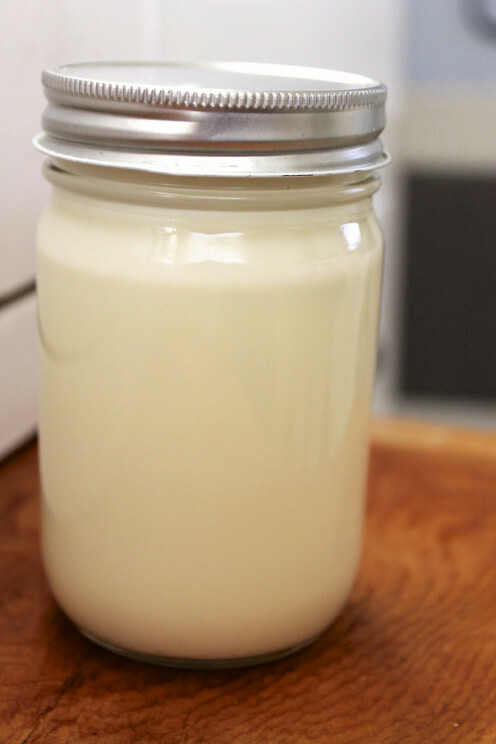 When completely whipped, start spooning your cream into jars. This makes approximately 16 oz so it is up to you how you divide it up. Don’t forget to stick a label on with the name and date due to expire. (3-6 months from day it is made). If it is very warm where you live, store this body cream in the fridge or it will melt (coconut melts right down to a liquid in heat). If it is cool or cold it should be fine stored in a dark cupboard. Like many body lotions, creams and oils it is best to apply this straight after a shower or bath when the skin is warm. Scoop out a teaspoon (or less) amount and massage in all over the body. A little goes a long way, so do not use too much. Once on the skin it starts to melt so spreads very easily. Which Do You Prefer to Apply? Instead of Shea Butter you can use Mango Butter or Cocoa Butter. If you have all three butters, be adventurous and go for the super deluxe version by using 1/2 cup of each. Instead of Ylang-Ylang if you want an even more scent-sational recipe, add Rose Absolute Oil. Perfect for making as a gift, this whipped cream may be changed with different essential oils easily by splitting the cream into two bowls before adding the rosehip oil and the ylang-ylang. Replace the ylang-ylang with your essential oil or oils of choice. Remember to only add 7-8 drops in total and not 15 drops. To get the very best out of your ingredients use organic options whenever possible. Simplicity is key for utilizing aromatic vanilla beans as interesting and unique gifts in DIY vanilla extract, sugar and salt. These ideas are perfect for vanilla fans everywhere in 4 easy recipes. 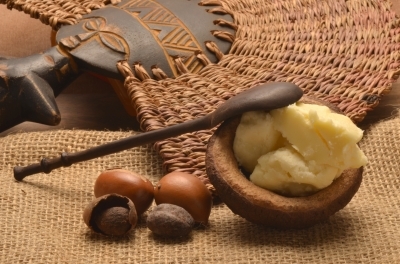 Treating your body to a nourishing, hydrating body butter is easily made. I have step by step guidelines on how to make and whip up a delight for your skin using a few ingredients your skin will love! Making a perfumed body powder is simply done with a few kitchen cupboard classics rather than spend a fortune on a store bought brand. Be unique and create your own signature scented dusting powder. For a tropical scent make this versatile and fragrant rich body moisturizer with warming vanilla and yummy coconut. With no artificial flavors or fragrance it is pure indulgence you can make at home. Combining a shower gel and salt scrub together in one product is an easy to make skin care product. A Sea Salt shower gel scrub is suitable for all skin types and will greatly improve the texture, tone and clarity of your skin. 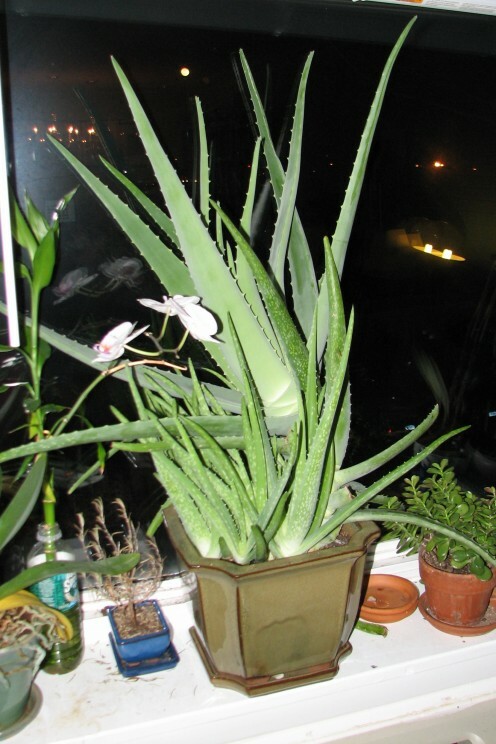 Organic Aloe Vera products since 1976. All juices, gels and capsules. The Original Aloe Vera Company. What a clever idea Susie to make your own body cream. I would love to give it a go someday. Voted up for useful and interesting! Very nice hub! Ylang ylang is my favorite essential oil, and I can't wait to go out and find wild rose petals this summer to infuse in olive oil for my face cream recipe, etc. 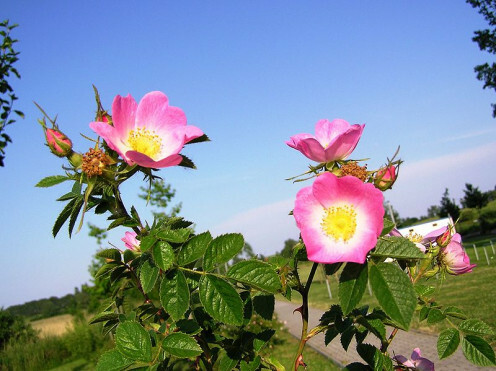 The thought of wild roses being considered an invasive weed! Will try your recipe this summer. Thanks! So good to see you enjoyed this, whipped body cream is so luscious on the skin!! Whipped makes it lighter and I love it for those not too heavy but not too light moments! Another lovely idea. I am liking creams more and more. I find butters a little to heavy and some lotions are too strong smelling. I guess it just depends on the mood I'm in. So good to see you and it is great to hear you enjoyed this body cream. Appreciate your comment as always! Great idea to make with your teen! Makes a perfect gift for friends too and is cheap but oh so good! I find I need to step it up during winter and love the whipped body butter too that I made awhile back. Always good to recycle and my cupboards are always stocked of some empties now! Even small spice containers I have kept for things that need sprinkling like body powder or just something small. You never know what I will come up with so I like to be prepared! LOL Thanks so much for all your networking and vote up! Wow, you are so generous and I will remember as I will be grateful for any help and guidance through my website set up! I have ideas but I need the time to spend daily setting it up. Appreciate your lovely comment and support, Crystal i am honored, truly. Hope you try this out you will love it during winter! Cheers for the thumbs up by votes, sharing and pin!! You've made the concept of homemade whipped body dream so accessible! As always, I learned so much about all of the ingredients in this wonderful recipe and want to give it a try now. Thanks! These sound awesome! I especially like the deluxe body cream recipe. 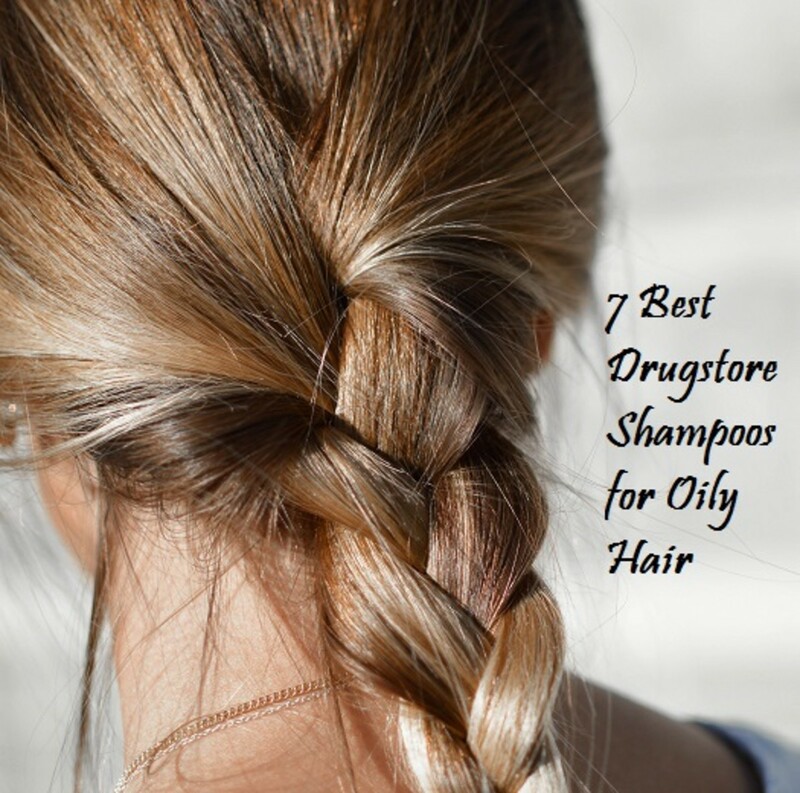 Thanks for sharing these wonderful and wholesome ideas for DIY cosmetics. I am definitely trying this as a fun project with my teen. 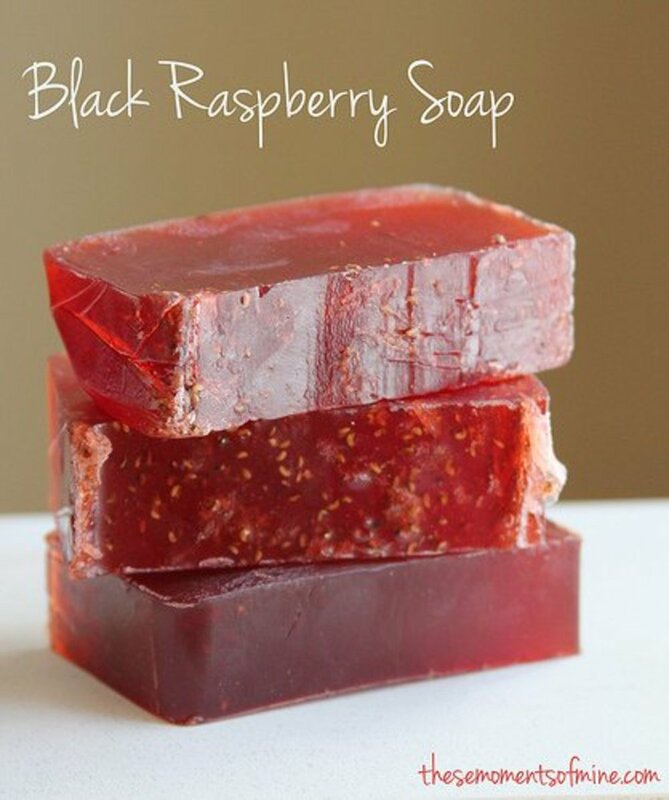 Winter tends to be very drying, so this should add moisture in a soothing manner with a pleasing scent. I additionally like that you encourage recycling by telling people to start saving their jars and bottles. Voted up, awesome, and pinning. Ooh, this may be my favorite of all your recipe. I love body cream. I used to buy it from the Body Shop, but it was so expensive and it ran out so quickly. During wintertime, my skin needs the extra moisture that a cream provides. I agree that you should, if you can, sell these amazing concoctions. You have vast knowledge and experience with the creation part and the marketing side, and I think you could really have a great business here. Let me know if you ever decide to do that so I can help promote your website, store whatever in any way I can. Voting up as always, sharing, pinning. Good to see you, you are constantly in my thoughts, hope all is going well! i love this whipped cream and when I looked at what I had not done, a body cream was something I felt was missing. I also loved the whipped idea as in my body butter. Thanks so much for your votes and all the good stuff - you rock! Lovely to see you. I have so many ideas i want to develop and selling my little pots of skin care is one of the top ones. Time and funds are the missing links but both are on the near horizon. It is wonderful to receive so much interest and support which really plays a massive part in my mission so thank you so much! 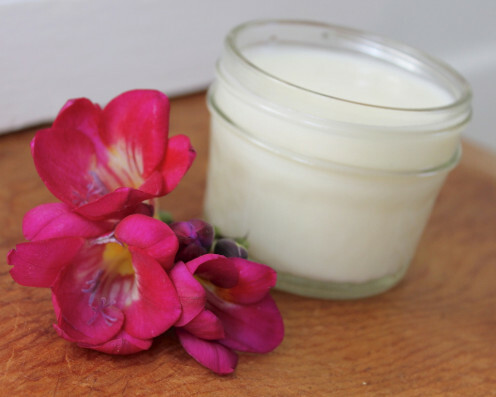 Delighted you enjoyed this one I LOVE it and the ylang-ylang scent is so good! Enjoy planting up those containers, I love seeing how they change and the little plants and seeds start bursting through. Everytime I think this is the best beauty recipe you come up with a better one. This one has absolutely gorgeous ingredients. Thank you for sharing this. I like this no cook body butter....And I have the ingredients ...Well Iwill check on that. Sounds delightful...as always. You never seem to run out of ideas. The usual sharing stuff. Another hit recipe. You are going to put the cosmetics industry out of business with all of your great formulas for beauty lotions and potions. I would never have any time for anything else if I tried each of you great suggestions. :-) Love your choice of scents to add as well. Ylang-ylang is bliss. Actually, it is still container planting but before I couldn't even do that! Have to get 2 more hubs done to hit my quota which I will have done for a year exactly. Yes, ylang-ylang is suitable for facial oils creams or a variety of products. Great for dry or sensitive skin but not recommended for acne or oil skin types. Homework done already teacher!LOL Cheers for the query and hope you are having a great weekend!! Many thanks for your visit and comment as always! So rewarding to hear you enjoyed. Rosehips do grow in the wild courtesy of the species of rose found there. Appreciate your continued interest! Lordy Goshen, girl! I'm having a hard time keeping up with you! I see I have to need to give you homework, as you enough ideas of your own. Thank you, Suzie! More great ideas! Since we have moved, I have acquired space to start growing my own herbs. I actually got started today and am looking forward to adding to it! I can't wait! Up++ and pinning! Again, another fabulous article! The rose hips look like the plants that grow on the beach here in Connecticut. The government is trying to keep people away from them for erosion sake. I knew they were some form of wild rose, but didn't know what the name was. I love your articles and enjoy reading them immensely.